Steak lovers in town will definitely be familiar with The Steakhouse at The Whisky Bar in downtown KL. What is there not to love about a place that gets their steaks correct and whips out decent cuts without making a hole in your wallet? Making it even better, this place also serves other non steak items equally as well, making it the perfect dining spot when you have a bunch of dining companions who want to order different things. 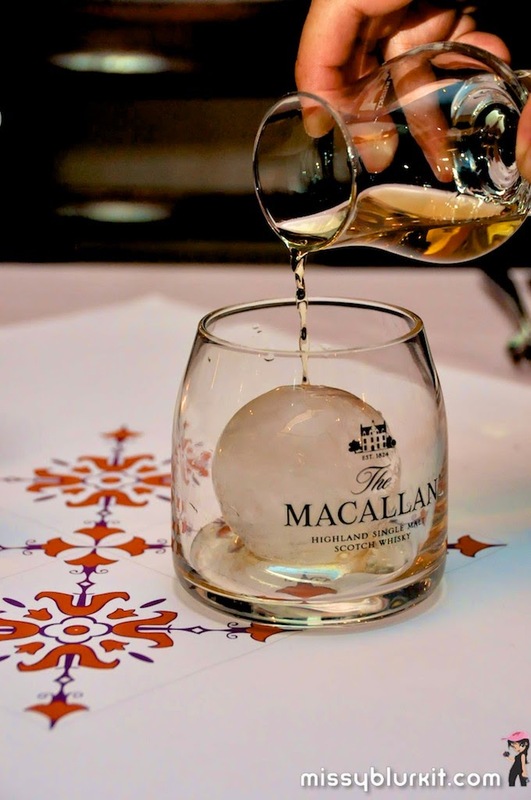 One other reason why we love The Steakhouse is that the drinks menu is amazing. No surprise too as it’s also linked with the Whisky Bar conveniently next door. So take your pick of over 300 whiskies, wines or even non alcoholic drinks to go with your meal. Each meal here is often a food coma inducing one. We kick off with their addictive breads and butter. 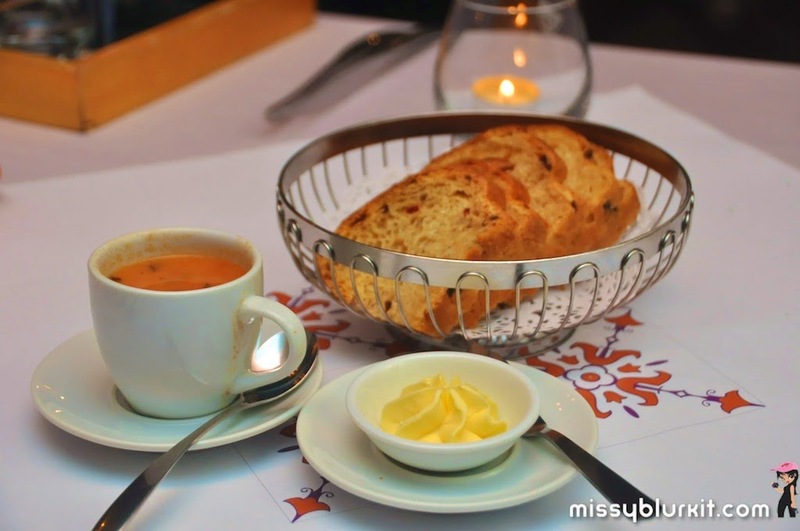 Strange how simple bread and butter can be so good and it takes a lot of discipline to not over do the breads especially when its served with the complimentary soup of the day in a little cute tea cup. On our last visit they served us a warm comforting lentil soup that was perfect after a long day at work and a rainy evening to accompany us. 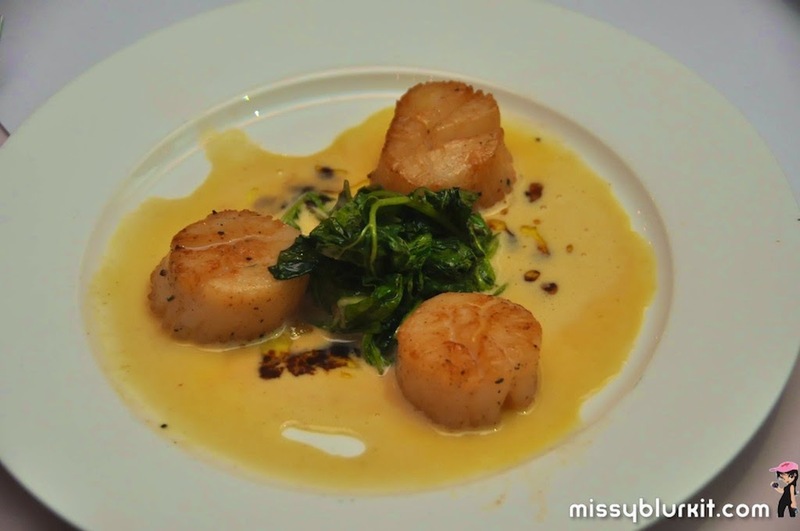 For starters, I had the Pan Seared Sea Scallops (RM46). 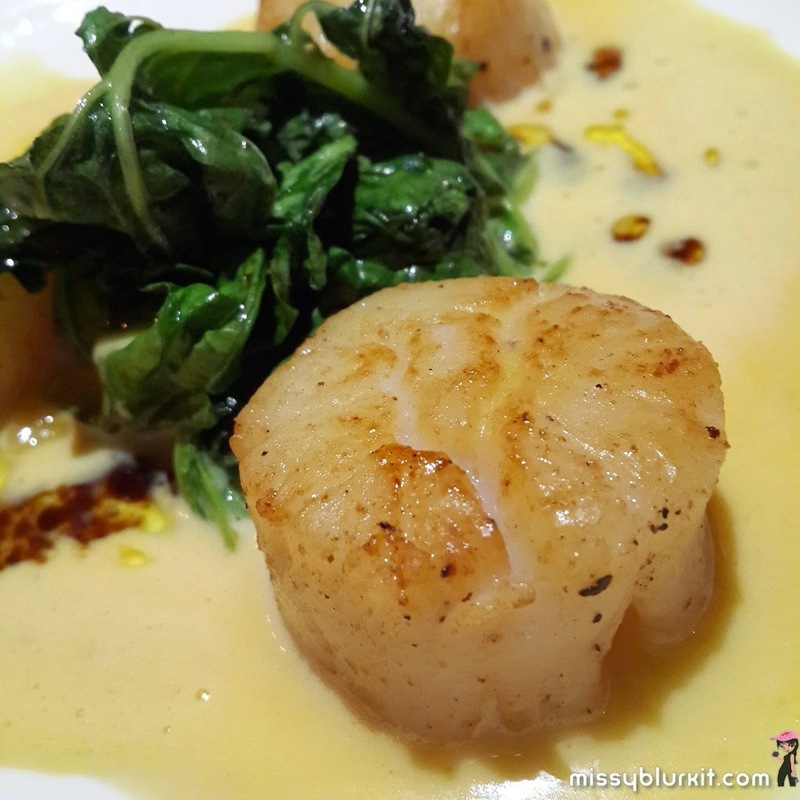 Thick, tender and deliciously seared with a rich creamy foie gras Hollandaise sauce to compliment the natural sweetness of the scallops. Mouth watering! 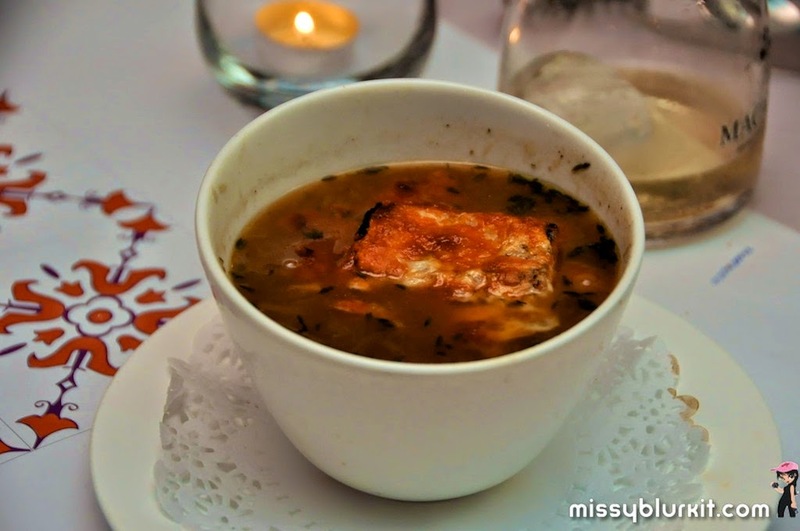 We then each had the French Onion Soup (RM24) which we all unanimously agreed is one of the best in town. It's a rich and hearty beef broth as the soup base with soft and slightly caramelised onions to go with the addictive Gruyere Toast that adds a hint of cheese richness to the soup. 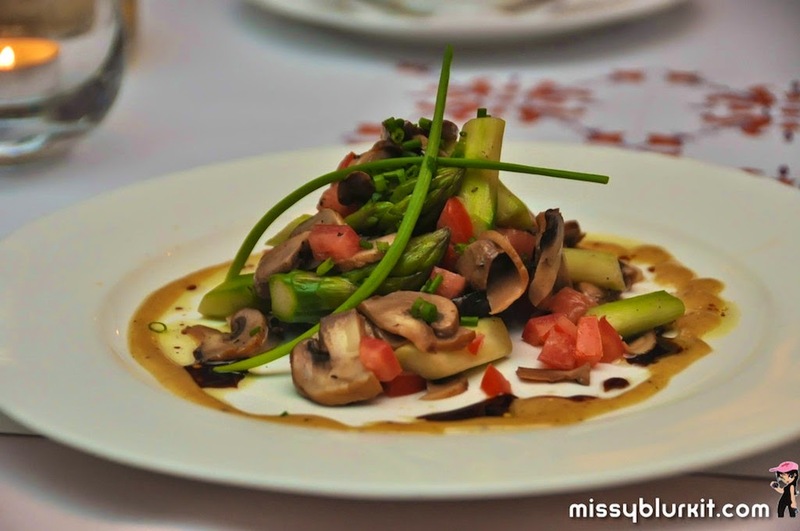 My dining partners and I wanted to balance off our sinful mains, so we opted for the Mushroom and Asparagus Salad (RM28). This pretty mountain of delicious goodness is a nice, balanced mix of button mushrooms, portobello, asparagus, tomatoes and a light mustard dressing. Perfect for sharing, as the size is rather generous for those with regular appetites. Take your pick from a wide selection of steak. The Steakhouse offers Australian beef and you can choose between the aged Black Angus and Grain Fed. The cuts include medallion, tenderloin, rib-eye, T-bone and striploin. 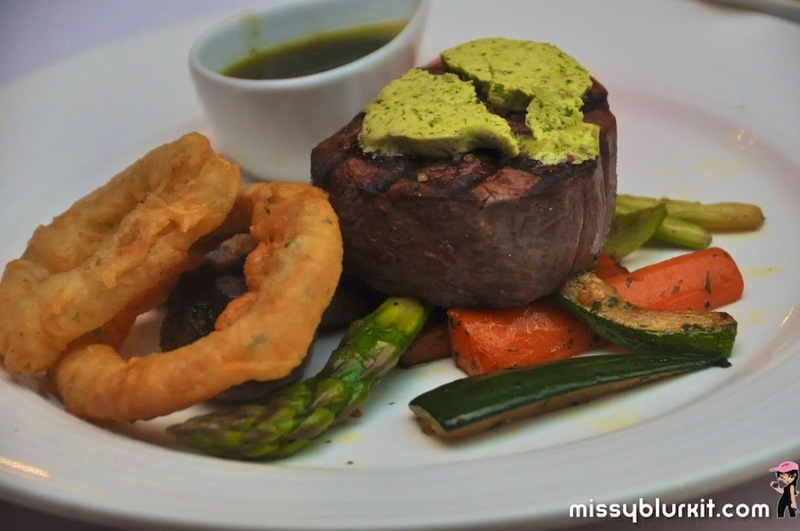 The choices of sauve are varied including béarnaise, black pepper, red wine and others, but because the steaks were on their own really good, I didn’t touch any of the sauces in my last few visits. 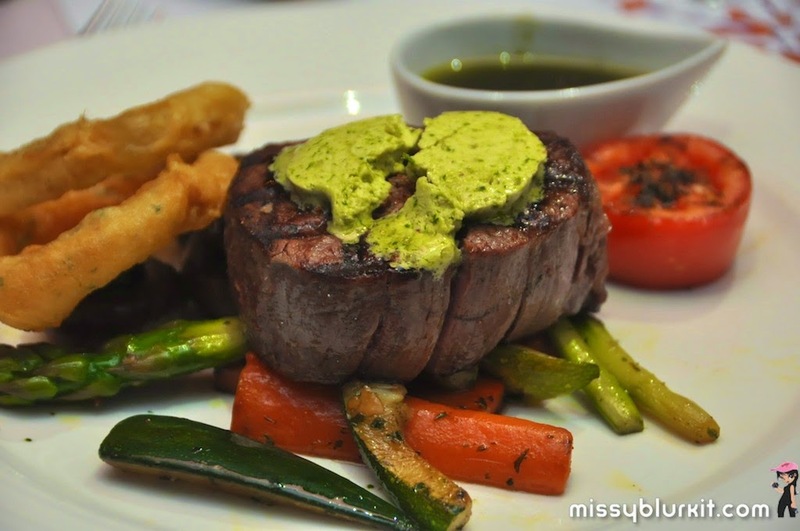 My choice was a 200g tenderloin served rare. No complaints as mine came perfectly the way I wanted it. The sauce was served on the side – a perfect touch since I personally hate people messing my meats with sauces. Topped with some herb butter for taste, this was perfectly matched with a side serving of grilled vegetables. 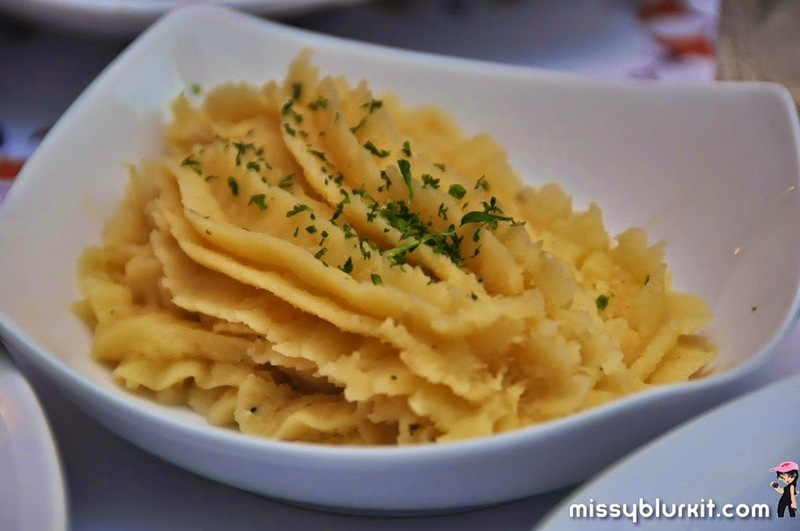 For those who love mashed potatoes, you will enjoy the smooth, creamy and comforting goodness of every mouthful. I have put in a mental note to myself that I will head in here the next round when I need to carbo-load before a race. 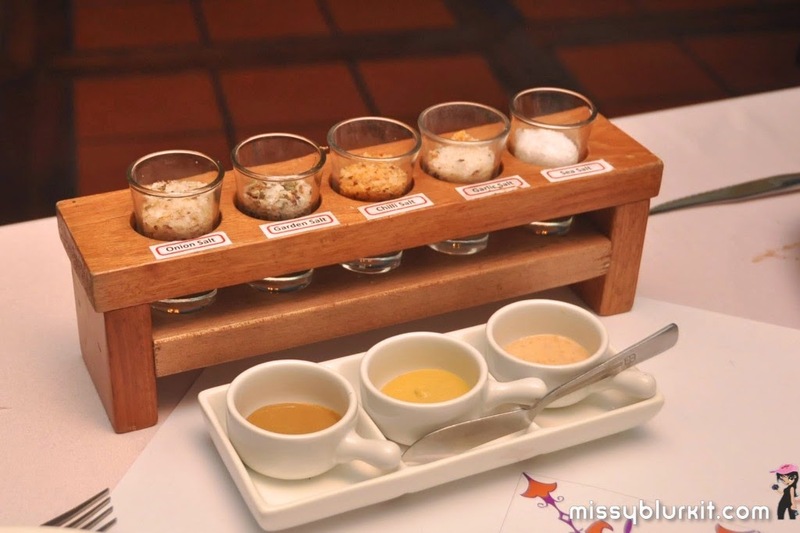 Of course if one opts for more taste and options, then check out the tray of mustards and salts. I liked mine just as it was so I had the tray removed in order to have a clean and uncluttered dining table. My dining companions that night however decided they didn’t want steak so they ordered other items from the menu. They made some good choices, although I noticed they were actually eyeing my juicy piece of steak beyond the one small slice that I offered to them as a taster. Too bad boys, order your own piece of steak the next time! 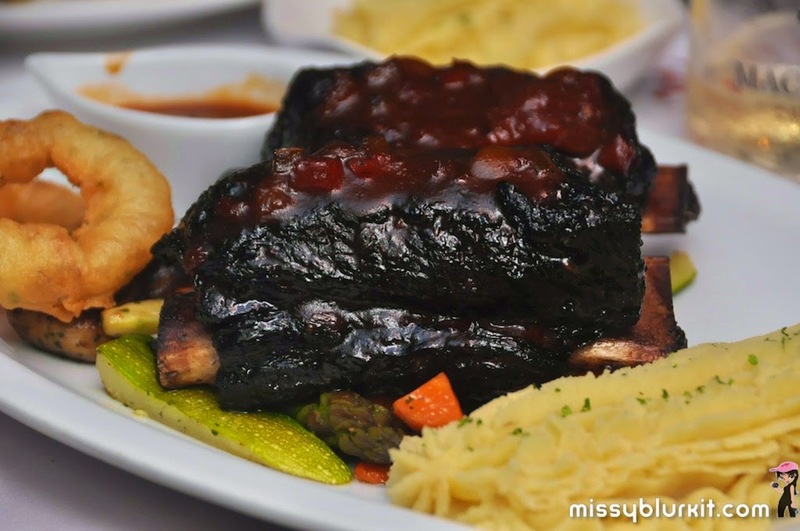 The hubster’s BBQ Short Ribs (RM98) is one huge serving of ribs. I am amazed with the serving portion, and I think this makes it one of the better value short ribs in town. In fact if you have a few friends with you, I will advise that you order this to share, other than your own steaks. It's a little charred on the outside for flavour while the meat simply falls off the bone. Tender, flavourful and bone licking good. Our buddy loves seafood. 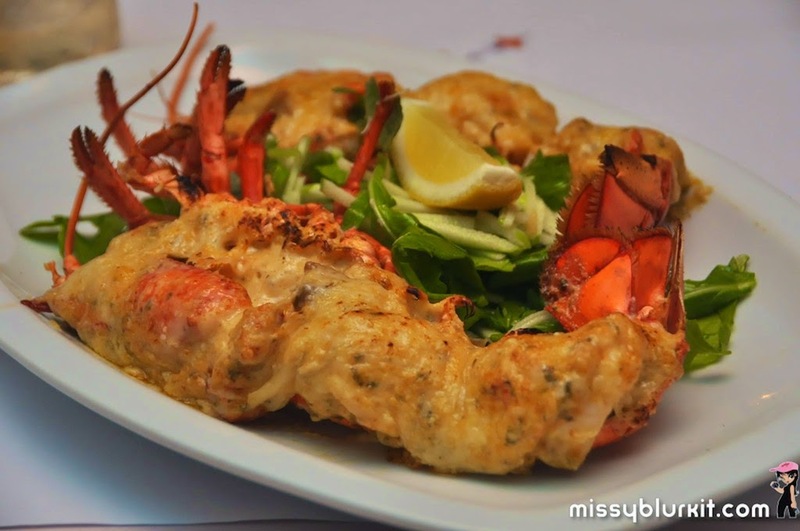 So his choice was naturally the Live Boston Lobster Thermidor @ RM32 per 100g. To prove the point that it was live, we even had the chance to say hello to the lobster before it was whisked into the kitchen. A whole lobster topped with creamy egg goodness and a light cheesy crust. Served with a side of apple and fennel salad to make the whole meal less cloying. 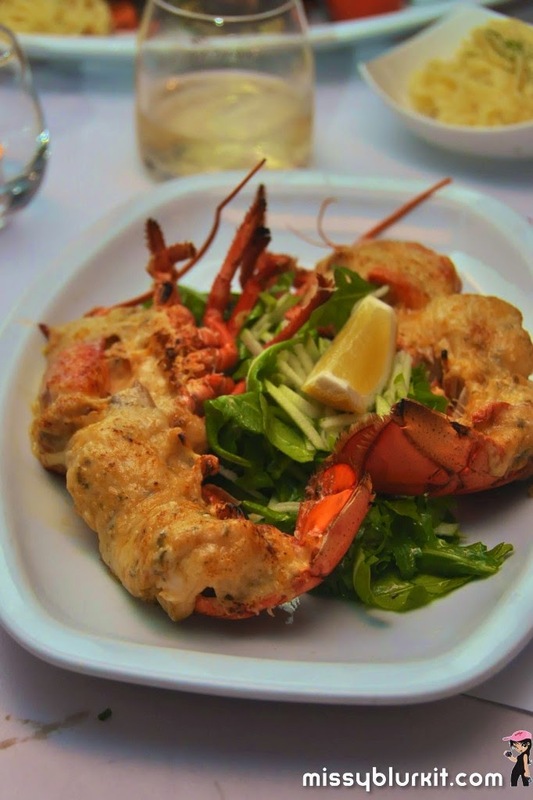 Do not waste the creamy goodness of this dish – you can request for more bread to go with your lobster. We ended our meal on a sweet note. The hubster was falling into a semi food coma and the homemade Mango Sorbet (RM12 per scoop) was a refreshing end to his dinner. 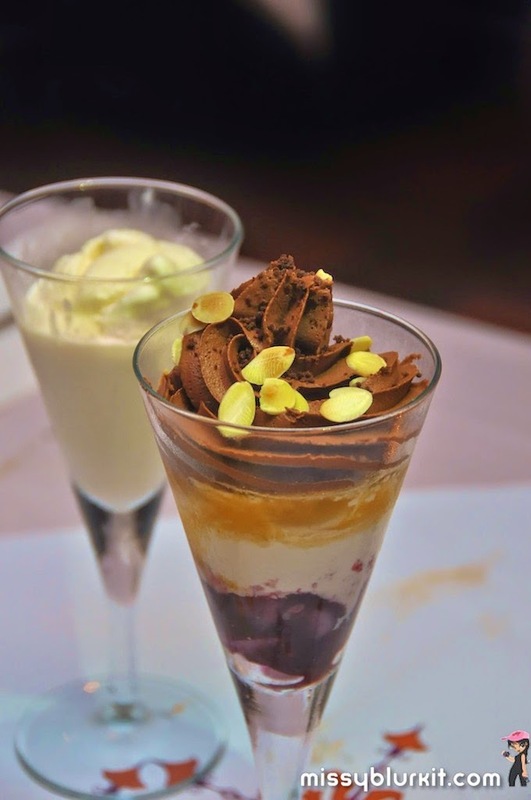 Andreas Special (RM23) was a pretty and exotic dessert of white chocolate ice cream with banana soaked in passion fruit, red wine poached pears, chocolate crumble and almond slivers. Dig straight into the bottom of the glass so that every mouthful has a nice mix of all the ingredients - absolutely decadent. 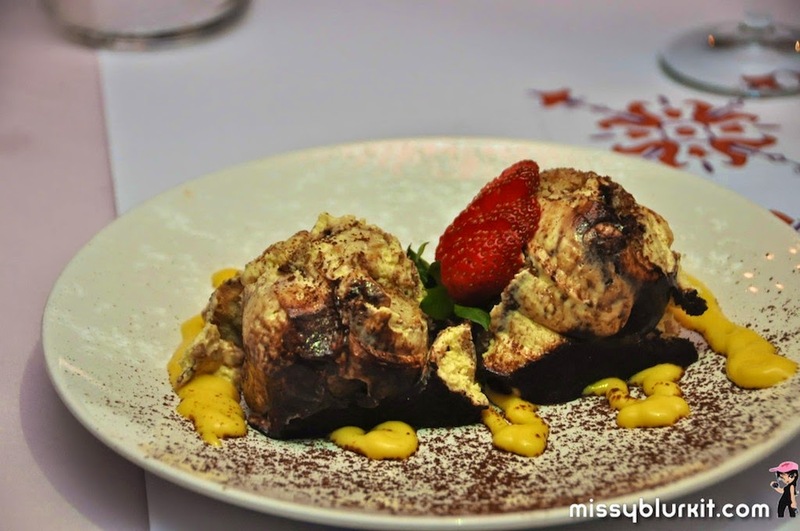 The Classic Italian Tiramisu (RM23) isn't your regular looking tiramisu. It might even look a tad messy but it is really delicious. Served with some mango coulis to add some zing, even folks who don't have a sweet tooth can’t resist a second mouthful of this tiramisu. 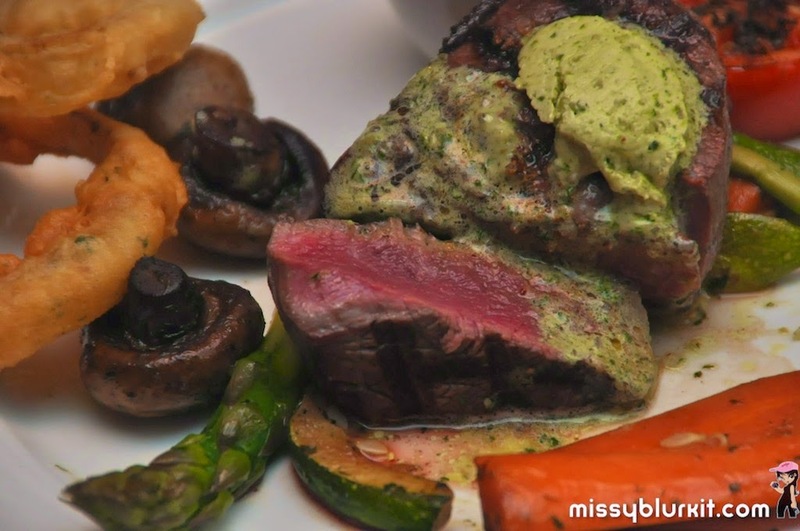 The Steakhouse whips out good and affordable steaks, and even if you want more than just steaks, this is definitely a good spot to lock down for your next meal. Remember to make your reservations via www.offpeak.my for discounts off your meal. You can also download the offpeak.my app for your Android and iOS devices which will prompt you to the available discounts based on your GPS location. THANX for reading. Do also show me some love and socialize!